I gave Elsie and Maeve a canvas each, showed them this picture on the computer and waited for the announcement that they wanted to make one exactly the same. 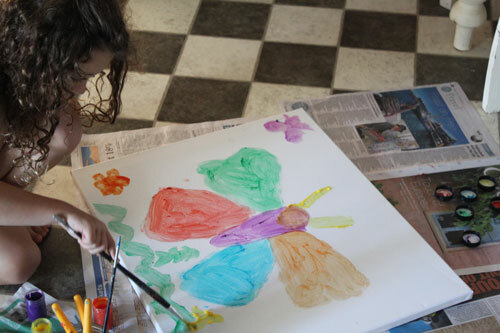 She asked me to draw an outline of a butterfly on her canvas and she went to work on it. 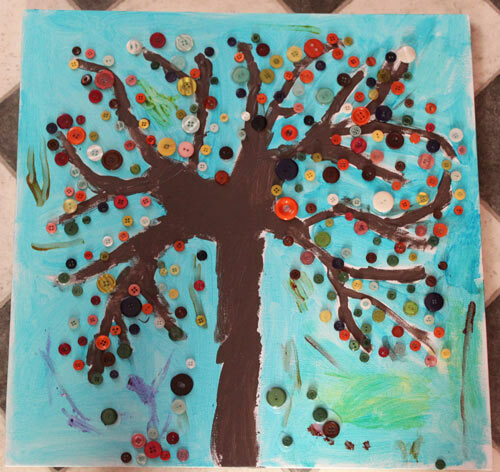 I drew the outline of a tree on Maeve’s canvas (she may or may not have had the chance to say what she wanted on hers) and started getting excited about a clean and simple result with my wispy branches thinning away to nothing at the tips and the autumn-coloured buttons we’d bought to stick on. I handed Maeve a fine paint brush. She immediately swapped it for a brush with a big fat handle and big fat bristles, dipping it in blue paint and painting a patch of perpendicular blue strokes under the tree. I hope I didn’t gasp. I think I probably did. ‘This is the sky,’ she said. And to save being on the kitchen floor for the next week, I asked if she’d like me to do the sky while she did the tree. I slid the fine brush a little closer to the brown paint. She dipped her fat brush in the brown and filled in the outline of the tree. 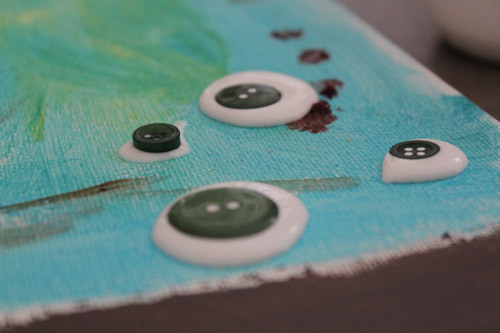 After the paint had dried I handed them each a squeezy bottle of PVA glue and instructed them to put a blob of glue where you want the button and then stick the button on. And I went and finished stacking the dishwasher. When I came back, I saw that Maeve was following my instructions to a tee. 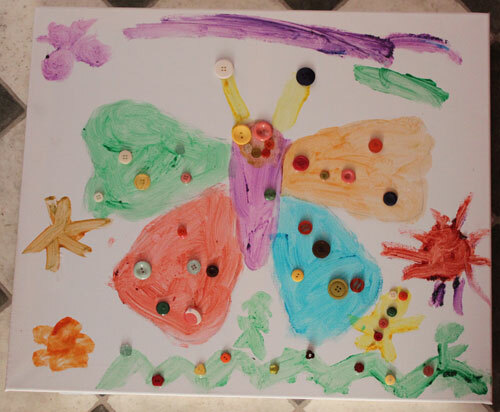 And I love it because, apart from the shape of the butterfly, it’s hers. Which is more than I can say about the one I was trying to have Maeve create. And I love it because it’s ours. Clean and simple? Nope. Not much of the artwork on our fridge and walls is. But they are originals. They’ll be hung proudly in their bedroom. These beautiful creations can all be found in the upcoming Huckleberry Market Extravaganza. I created a custom mobile for their product shoot and am so looking forward to having a stand at our first Melbourne market. It’s at the Melbourne Showgrounds on 15-16 March. Tickets are on sale now and by buying early you automatically go in a draw to win a Billygoat 2 Playground from Awesome Playgrounds (valued at $1699) and a VIP meet and greet with Jimmy Giggle. There’ll be lots of entertainment, workshops and speakers to hear including Pinky McKay on ‘Toddler Tactics’. 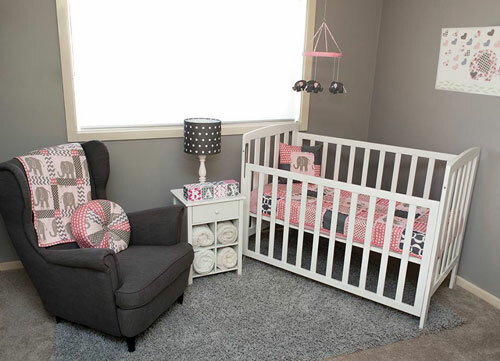 And of course, you can browse the many stands displaying their boutique baby and children’s products. Now, the countdown is on. My sewing machine is oiled. I have homemade sausage rolls and lasagne in portions in the freezer. Piles of clean washing will cover the couch. And the texta. Thanks, Sarah! Yes, the furniture and carpet show many signs that contribute to the ‘homely’ feel here too! You write so well Larissa!!! I can so relate to you – I had all these great Christmas craft ideas also inspired from pinterest and all those glossy Christmas edition magazines, that I was certain the boys would just LOVE to create but alas, I ended making them instead. Daniel enjoyed watching me make them and Tom, well what self respecting 9 year old boy enjoys Christmas craft with his mother!!! Now, your black pen on the red lounge would go perfectly with my black permanent marker “large” scribble on the timber floor which Alex mastered over the Christmas holidays!!! (and of course my husband’s response to this bad news was “I wonder how he got the pen?” Well, I certainly didn’t give it to him!!) Now make sure the girls write their names on the precious pieces of art and even perhaps a date/age to seal their authenticity!